A permanent selection of eleven ales dominates the bar, topped up with five craft taps, ten traditional ciders andover forty bottles and cans in the fridge. Their food is highly rated and their menu boasts a selection of more than twenty burgers, hot dogs, wings and halloumi, plus a range of homemade vegan-friendly specials. The Lion is famous for live music and hosts the best of the local music scene four times a week. 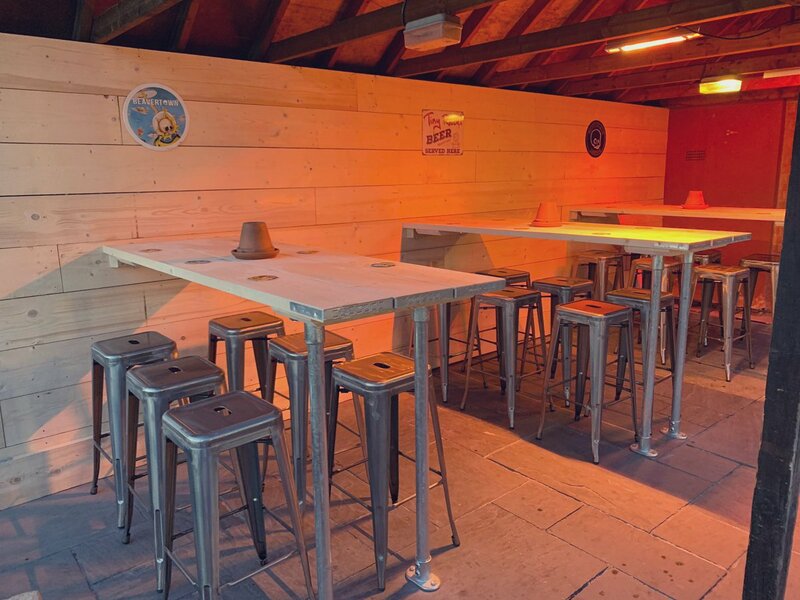 There’s also a massive beer garden out the back which really comes into its own during the summer months. What do you think to our new scaffold seating area on the patio? Our ever popular Live Jazz sessions. We are incredibly lucky to be able to have some of the most talented, grooviest performers showcase themselves at The Lion.